Harriet “Harry” Hathaway decided that the Earl of Roxley was her perfect match when they were both children. Now that her best friends Tabitha Timmons (And the Miss Ran Away with the Rake) and Daphne Dale (Along Came a Duke) have married respectively the Duke of Preston and Lord Henry Sheldon and shattered the curse of Kempton that meant the marriages of Kempton maidens ended in tragedy, Harry is free to see the fruition of her plans to wed Roxley. She has no doubt that Roxley loves her, particularly after a certain night they shared under the stars eight months ago. He may seem to be taking an inordinately long time to propose, but Harry refuses to be discouraged. Tiberius Maximus Marshom, the 7th Earl of Roxley, left Harriet after that memorable night with the intention of securing a special license and marrying her immediately. But given all that has happened to him recently, he fears that his Harry may be safer far away from him. Suddenly his famous luck in every game of chance has turned ruinous, Home Office files under his care have disappeared, and his man of business, in a move totally out of character, absconded in the middle of the night with a hefty portion of Roxley’s money. Most suspiciously, a merchant, Mr. Murray, has purchased all Roxley’s debts, and he holds the mortgage on Foxgrove, the unentailed property that provides the income that supports Roxley and his aunts in the style to which they are accustomed. Roxley is confronted with the choice of marrying Murray’s daughter or losing everything—including the secure world of the aunts to whom he owes so much. The only way to avoid this fate is to solve the mystery of the person responsible for his sudden turn of bad luck. Not even finding out that Roxley is on the verge of marriage to another woman discourages Harry. She knows that something is awry, and she is determined to find the answers she needs to see that Roxley is hers as he was meant to be. A villain in determined pursuit of famous diamonds does not deter her. 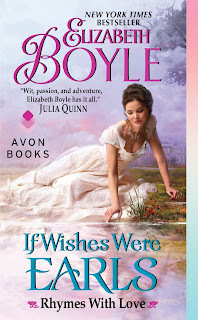 This is the third novel in Boyle’s Rhymes with Love series, and readers of the first two books will take a particular delight in seeing Harry and Roxley achieve their HEA. I found the pair charming when they were introduced in the first book and I thoroughly enjoyed the blend of romance, mystery, and humor that is their story. I have an abiding affection for the hero who plays the fool but is really quite astute and brave. Roxley is a great example of such a hero, and Harriet calls him on his disguise, reminding him that he doesn’t have to act with her because she knows the person that he really is. The exchange where she reminds him of this truth is a great scene in a story that with many great scenes, particularly those that involve Harriet and Roxley in conversation. As much as I like Roxley, however, it is Harriet who is the true star. She is smart and funny and active in pursuit of her desires. She knows Roxley, and she knows herself. Often with heroines of historical romance, while I find them perfectly satisfactory at the stage in life they are in the story, I have difficulty imagining them aging. They just seem perennially young. But I can imagine Harriet as an interesting old lady, wiser and more mature, but with no iota less of passion and conviction and willingness to act than she displays in this book. 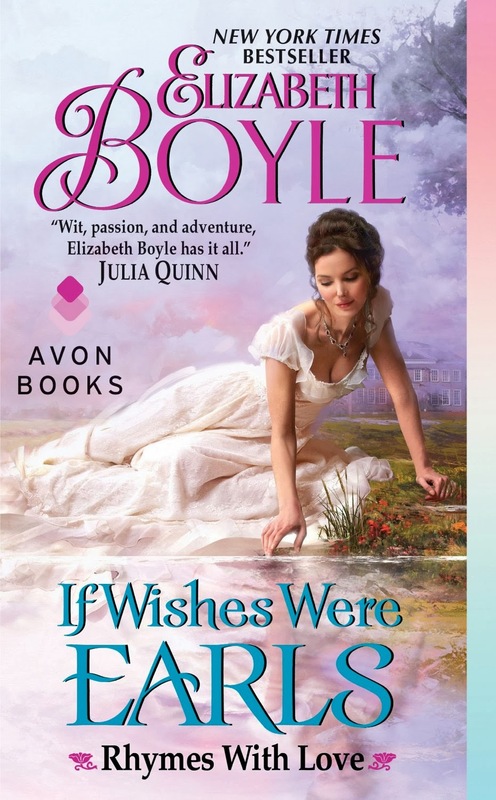 If you are a reader who appreciates lighthearted romance that may seem all froth but which contains a core of substance underneath the delightful entertainment it offers, I definitely recommend If Wishes Were Earls. I feel certain that some of you will share my pleasure in the snippets from the Miss Darby novels that serve as epigrams for each chapter. Despite its being the third in the series, Boyle provides enough glimpses into Harriet and Roxley’s long relationship that the book can easily be read as a standalone. However, if you’ve read the other two books, I predict you will embrace this one with special enthusiasm. I confess it’s my favorite. Thanks for the review and I have no doubt at all that this is a story I would enjoy!! Janga, thanks for the review. This sounds like a great story. I haven't read a Boyle book in quite some time because her writing seemed, dare I say, stagnant. But, this, and the two previous books in the series, sound really good. Great review! This is another book on my Wish List and looking forward to reading it. I have been hearing a lot about this book so it on my list. It sound really good. Thanks, Janga. I just finished this book and agree with everything you've written about it. For those of you who haven't read the first two books in the series, don't worry. I haven't either and it did not distract from my enjoyment of If Wishes Were Earls at all. I've been loving this series and am looking forward to reading this book. Thanks for the great review, Janga! I am putting this series on my list. Thanks for the review! I have some catching up to do on this series!